In most cases, alcohol addiction can change a person’s behavior – and not in a good way. This is not only bad for them, but also for the people around them. Most alcoholics don’t even know that their behaviour has been changed in the first place and this can lead to complications in and of itself. Can alcohol addiction affect behaviour? Yes it certainly can – and that’s because an abuser is often dependent on alcohol. They begin to focus more on drinking than anything else and it becomes their main priority. How does alcoholism affect behaviour? When people begin to think that they need alcohol and their lives begin to revolve around drinking, their behaviour changes. If they feel like they need to drink and people tell them that they have a problem and that they shouldn’t, it will make them feel angry and upset, especially if they don’t even realise that they have a drinking problem to begin with. Often, an alcoholic will end up caring more about drinking than anything else and this also often has a negative impact on their behaviour. They will become selfish and uncaring about those around them – and this can lose them their family, friends and other people that they care about. Many alcoholics feel like they need alcohol to be able to function and if they can’t get any, they may resort to things that they shouldn’t do (such as stealing money). They may even end up hurting people who are stopping them from drinking, too. There are many treatment programs that can help alcoholics to overcome their addiction, but that doesn’t help their behaviour. Luckily, there are also treatment programs that were created to help alcoholics to correct their negative behaviour and rebuild their lives. 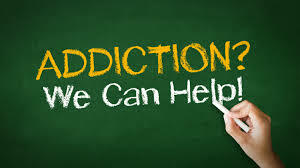 In behavioral treatment programs, addicts can be helped to develop skills that they will need to see what their addiction to alcohol has done – and when they understand that alcohol has damaged their life and behaviour, they can work on correcting it. Most rehabilitation centres not only have addiction treatment, but also addiction behavioral treatment programs, too. With an experts’ care and help, an addict can be worked with to find the issues in their behaviour and even be helped to change their behavior back to the way it was before they were gripped in the vice of alcoholism.